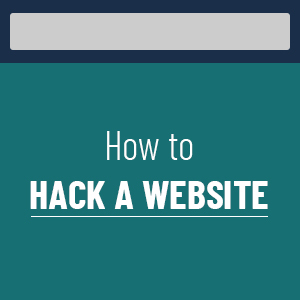 How Your Website Can Get Hacked? Your website can become more vulnerable to hacking attacks if it is hosted along with 300 other sites on the same server. The situation could become increasingly complicated if some of those sites were not authored by professionals. Hosting providers handle such risks by logically isolating the resources of websites, such as employing different database credentials and limiting OS permissions and robust patch management. It thus becomes very hard for the hosting provider to secure hundreds of websites and hence hackers may have the upper hand here. DNS Cache Poisoning, also referred to as DNS Spoofing, deals with old cache data that you might think you no longer have on your computer, but is actually “toxic”. In these attacks, hackers will be able to recognize vulnerabilities in a domain name system, which permits them to divert traffic from legit servers to a fake server and/or website. This hacking attack can spread and replicate itself from one DNS server to another DNS, almost “poisoning” everything that comes along its path. Injection attacks happen when there are faults in SQL libraries, SQL Database, or even the operating system itself. Employees unknowingly open seemingly credible files with hidden commands, or “injections”. By doing this, they actually allow hackers to gain unauthorized access to private information that could include credit card number, social security numbers, or other details related to financial data. A Cross Site Request Forgery attack occurs when a user is logged into an account and a hacker uses this opportunity to send them a forged HTTP request to gather their cookie information. The cookie remains valid in most cases as long as the attacker or the user stays logged into the account. This is the reason why websites ask users to log out of their account when they have finished. There are also instances in which after the user’s browser session gets compromised, the hacker goes ahead and generates requests to the application that will not be able to differentiate between a hacker and a valid user. A social engineering attack happens when private information gets disclosed under a simple trust factor. For example, a credit card number, common online interactions such as chat, social media sites, email, or practically any website. How Comodo cWatch can Help in Preventing Website Hacking Attacks? All the blacklists will be removed to your website after completion of the website scanning process. Guarantees that a daily report will be sent to monitor website safety. This enhances traffic on your website and blocks hackers from using software vulnerabilities. Tracks legit website users to be protected from annoying delayed pages or CAPTCHA. Certified experts using advanced technology to help solve security incidents faster. Operates at all web servers, acting as a customer inspection point to identify and filter out content like embedded malicious website code. Delivers web content at a faster by caching at a global data center in order to meet traffic spikes, provide website security, and shorten distances. This permits your website to work faster than before.